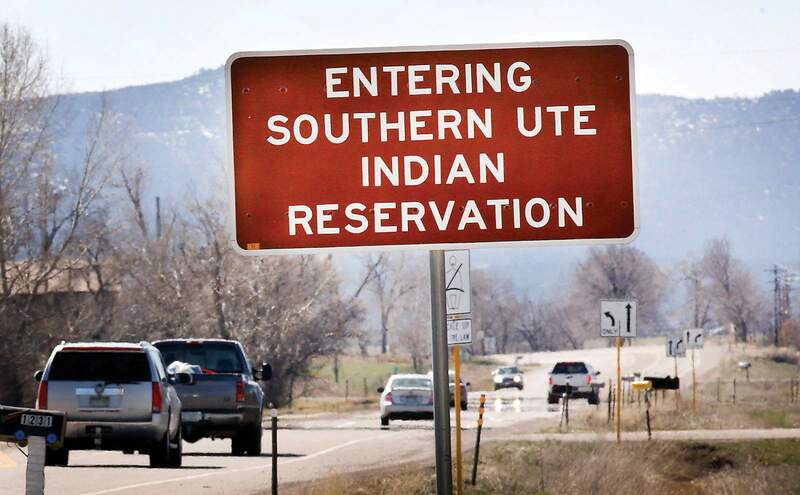 Proposed changes to the Southern Ute Indian Tribe’s traffic code would affect non-Native Americans traveling through the reservation. Any official changes to the traffic code require approval through the Bureau of Indian Affairs. Proposed revisions to the Southern Ute Indian Tribe traffic code would allow the Southern Ute Police Department to issue civil citations to non-Native Americans traveling within the exterior boundaries of the reservation. The current traffic code gives SUPD officers authority to stop drivers for the purpose of identifying whether they are Native American and which law enforcement agency has jurisdiction. They do not currently have the ability to issue traffic citations to non-Native Americans traveling through the reservation. The revised traffic code would allow tribal police to issue citations for traffic infractions such speeding, running red lights or failing to display a license plate on roads that pass through Southern Ute Indian lands – a checkerboard reservation that makes up much of the southern third of La Plata County. The revised code also incorporates snowmobiles and all-terrain vehicles traveling on trust land or fee land owned by the tribe. Offenders would be required to appear in Southern Ute Tribal Court. If a person chose to appeal a conviction, it would be heard by the Northwest Intertribal Court System in Washington state. The decision to revise the traffic code came about in an effort to update outdated codes, as well as implement penalties consistent with the state, said Lindsay Box, communications specialist for the tribe. Any official changes to the traffic code will require approval through the Bureau of Indian Affairs. “It’s a long process, but the tribe wants to be consistent with the state regarding assessment and penalties,” Box said. The tribe is also considering changing the blood-alcohol limit for drivers from 0.08, the state standard, to 0.10 or 0.15, which would apply only to Native Americans traveling on the reservation. Representatives on behalf of the Tribal Council met with the La Plata County Sheriff’s Office, Colorado State Patrol and the La Plata County attorney last month to discuss the traffic code. Box said the tribe is open to suggested revisions to the traffic code, touting the tribe’s relationship with La Plata County and the state of Colorado. Jurisdictional challenges are common on checkerboard reservations, where Native American land is intermingled with non-Native American land. La Plata County Sheriff Sean Smith voiced concern that non-Native Americans might unwittingly travel on roads affected by the traffic code revisions.